Soon after America declared war in 1917, the unsustainable number of Allied and neutral ships being sunk began to decline. This marked a turning point in U-boat tactics that had led to a dramatic increase in the number of ships being attacked in the channel seperating Ireland and England. The losses in these new killing zones began to soar, and the destruction of vessels soon began to light up the night’s skies. Naval and air patrols or even daylight hours afforded little protection to coaster or cruiser. Only short distances from the shores on both sides of the channel, many of the victims were seen plunging beneath the waves. Mines were laid across the approaches to the ports of Holyhead, Liverpool, The Clyde, Belfast, Dublin and Arklow. The U-boats themselves were attacked with gunfire, depth charged, rammed and sunk by the allied warships of Great Britain and the United States. Despite the adoption of a wide variety of anti submarine measures by the Allies in the ‘Irish Channel’, these did not prevent hundreds of sailors and their vessels being blown to smithereens during the campaign to keep Britain supplied. With infrequent exceptions, the importance of the U-boat war in the George’s Channel, the Irish Sea and the North Channel, particularly during 1917-18, has not been historically recognised. Preventing food, men and materials reaching Britain had remained a key strategy to a German victory. The story of how Ireland helped to defeat this aim and kept Britain from starving during World War I remained untold untill now. Similar events were largely absent in the same areas during World War II, and now it has become unimaginable that a prolonged naval campaign involving submarines, battleships and aircraft, could have occurred there, a quarter of a century earlier. Hardly any folklore of the terrible loss of life and brave actions by ordinary sailors in vulnerable vessels has survived. It has often been said, that a generation was wiped out by WW1. 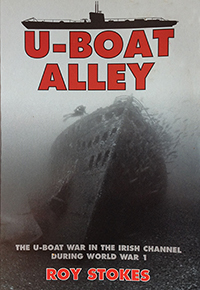 Perhaps this is why no memory remains of the events that occurred in ‘U-boat Alley’? 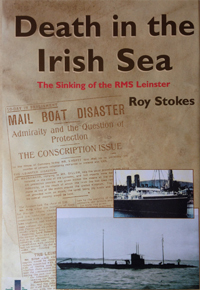 One month before the end of the First World War, on the 10th October 1918, the mailboat RMS Leinster was sunk when three torpedoes were fired at it by submarine UB 123. More than 500 lives were lost. 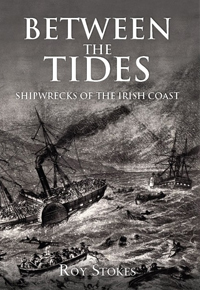 This book reveals for the first time, the full circumstances surrounding Ireland’s greatest maritime disaster. It deals with previously unanswered questions which include: Why did German submarine commanders consider these mail boats to be a legitimate targets and have specific orders to attack and sink them? What was the extent of the military role played by these mail boats? Why did repeated pleas to the Admiralty for armed escorts go unheeded? Was the second and surprisingly large explosion caused by similar circumstances to those in the Lusitania incident? Why were the offices of the Evening Herald closed, after it attempted to issue a, ‘Stop Press’ edition covering the sinking? And why was the subsequent limited inquiry into the sinking censored?